Monaghan will bid to return to winning ways in the Allianz NFL Division One when they welcome Galway to Inniskeen on Sunday. Monaghan kicked off with a good win over Dublin, only to lose out to Roscommon last time out. Meanwhile, Galway are also on two points after they followed up a narrow win over Cavan with a heavy defeat against Dublin. Following their 2017 promotion, Galway went all the way to the NFL Final last year, where they fell short against the Dubs. Kevin Walsh’s side beat Monaghan in the league last March only to lose their ‘Super 8s’ clash five months later. Monaghan will be looking for big performances from Rory Beggan, Colin Walshe, Fintan Kelly and Darren Hughes. Malachy O’Rourke has named a team showing three changes, with Drew Wylie, Neil McAdam and Ryan McAnespie in for Gavin Doogan, Conor McCarthy and the injured Conor Boyle. Galway’s Corofin contingent are preparing for next week’s All-Ireland Club semi-final, while captain and talisman Damien Comer has been among those out injured, but they can call on the likes of Shane Walsh, Seán Kelly, Eoghan Kerin, Gareth Bradshaw and Peter Cooke. Galway have also announced three changes, with Ruairí Lavelle, David Wynne and Antaine Ó Laoi replacing Maghnus Breathnach, Seán Andy Ó Ceallaigh and Cillian McDaid. 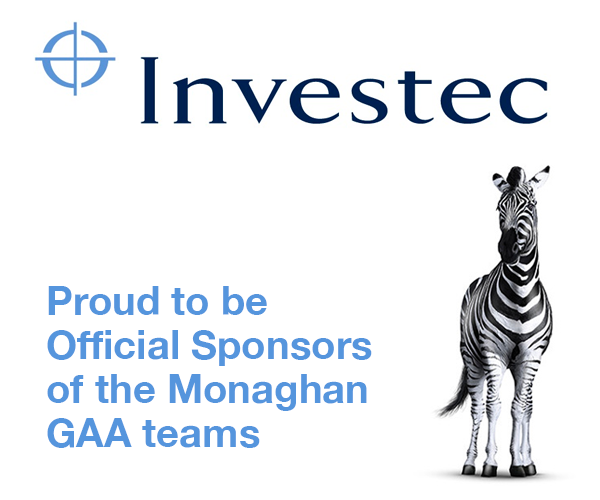 Monaghan: Rory Beggan; Kieran Duffy, Drew Wylie, Ryan Wylie; Dessie Ward, Barry Kerr, Colin Walshe (Capt. ); Darren Hughes, Neil McAdam; Ryan McAnespie, Dermot Malone, Fintan Kelly; Shane Carey, Jack McCarron, Micheál Bannigan. Subs: Shane Garland, Vincent Corey, Dessie Mone, James Mealiff, Owen Duffy, Thomas Kerr, Gavin Doogan, Conor McCarthy, Conor McManus, David Garland, Barry McGinn. Galway: Ruairí Lavelle; Eoghan Kerin, Johnny Duane, David Wynne; Gary O’Donnell, Gareth Bradshaw, Johnny Heaney; Tom Flynn, Ciarán Duggan; Shane Walsh, Peter Cooke, Seán Kelly; Pádraig Cunningham, Céin D’Arcy, Antaine Ó Laoi. 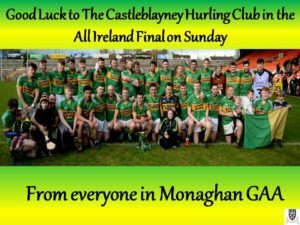 Elsewhere on Sunday, it’s a huge occasion for Castleblayney’s hurlers, who make a coveted first appearance at Croke Park for the All-Ireland Club JHC Final. 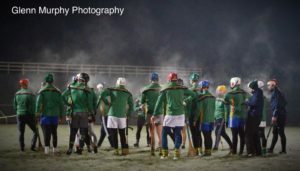 A string of hard-earned wins – their last four games being decided by an average margin of 2.5 points – has seen Castleblayney through to this stage for the first time and they will now face another step up in opposition in the form of Dunnamaggin. Kilkenny clubs have been typically strong across the board at all levels and this Dunnamaggin side breezed through Leinster with a hat-trick of comprehensive wins, before showing another side of their game to pip Cloughduv (Cork) after extra-time last time out. Dunnamaggin can call on three-time All-Star full-back Noel Hickey, who won the first of his nine All-Ireland inter-county titles back in 2000, as well as the likes of Tommy Maher, Willie Phelan, John Fitzpatrick, Ray Cody and Ronan Coffey. 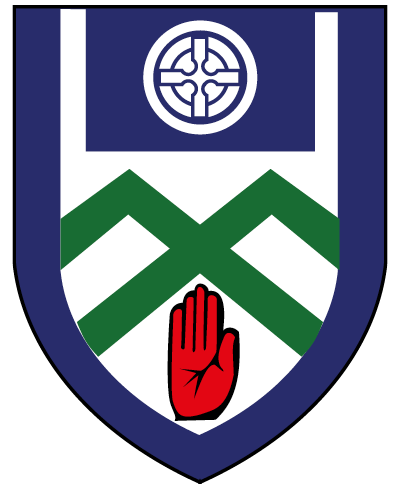 Blayney will hope that Mark and Peter Treanor, Fergal Rafter, Brian McGuigan, Hugh Byrne and Paddy Finnegan can lead the way in a momentous fixture for the three-time Ulster JHC winners. Saturday sees Monaghan’s senior ladies also host Galway. Please note change of venue to Cloghan. 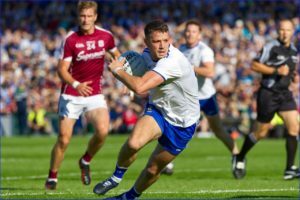 Monaghan’s first league game under new manager Niall Treanor saw them lose out to Westmeath last Sunday, while Galway started their campaign on a high with an impressive win over 2018 All-Ireland runners-up Cork. Galway, who have won six of the last seven Connacht senior titles, had a convincing win over Monaghan last spring. Chloe McBride comes in for Lisa Flynn in the only change to a new-look Monaghan team needing big performances from Cora Courtney, Aoife, Ciara and Eimear McAnespie and Muireann Atkinson. The Galway selection features three changes, with Barbara and Lucy Hannon and goalkeeper Lisa Murphy replacing Dearbhla Gower and injured pair Megan Glynn and Sarah Conneally. Tracey and Róisín Leonard, Mairéad Seoighe and Sarah Lynch should be to the fore for the visitors. Monaghan: Alanna McCarey; Niamh Kerr, Shauna Coyle, Hannah McSkane; Abbie McCarey, Aoife McAnespie, Casey Treanor; Muireann Atkinson, Rosemary Courtney; Chloe McBride, Cora Courtney (Capt. ), Eimear McAnespie; Eva Woods, Leanne Maguire, Ciara McAnespie. Galway: Lisa Murphy; Mairead Coyne, Sarah Lynch, Fabienne Cooney; Shauna Molloy, Louise Ward, Charlotte Cooney; Olivia Divilly, Barbara Hannon; Mairéad Seoighe, Tracey Leonard, Leanne Coen; Ríona Ní Flahartha, Róisín Leonard, Lucy Hannon.